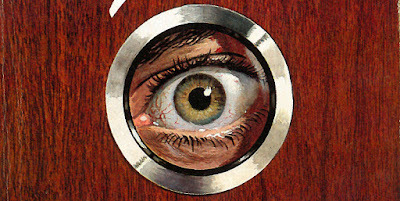 In 1962, Ian Flemings first short stories titled FOR YOUR EYES ONLY was released in Sweden. The release, by publisher Bonniers, led to some problems when the last Roger Moore film was released in 1985. Let me explain why. When FOR YOUR EYES ONLY was released the different short stories where not titled. They were only chapters. Also the story QUANTUM OF SOLACE was missing in the Swedish version. 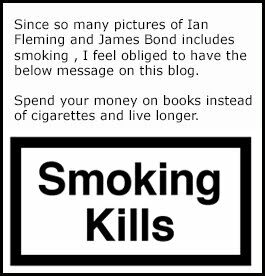 But the biggest difference was that the book was not called FOR YOUR EYES ONLY. It was called FROM A VIEW TO A KILL. The same title as the first short story within the book. So in 1981 when the Swedish distributor United International Pictures (UIP) where to release Roger Moore's fifth film FOR YOUR EYES ONLY the Swedish film title was FROM A VIEW TO A KILL. No big problem so far but I guess you can figure out where this is going. In 1985 the final Roger Moore film were to be released and it was at first called FROM A VIEW TO A KILL and sometime before the release they removed the FROM and only called it A VIEW TO A KILL. Since that title had already been used in Sweden two Bond films earlier UIP was now having a problem. So they decided to change the title completely in Sweden and came up with the title LIVING TARGET for A VIEW TO A KILL. Since I have started re-reading the Fleming novels I must confess that since QUANTUM OF SOLACE has never been released in Swedish, I have actually never read that story. It is nice to know that I still have some unread Fleming material to look forward to. Has any other country had the same problem with titles already used or being changed for some reason. It is one thing to make up an entire new title for a film. That happens a lot even today. But to have used a title for a franchise four years to early must be quite rare. 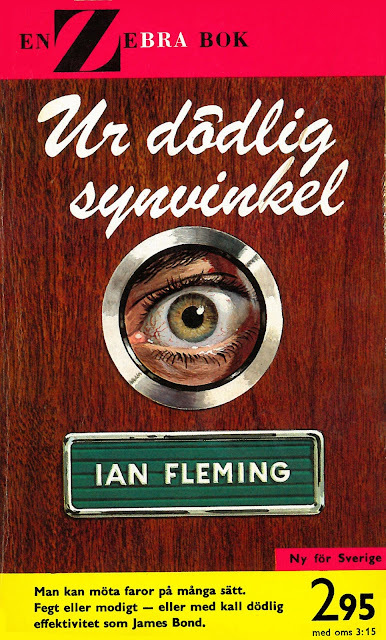 Below you can see the first edition for the Swedish version of FOR YOUR EYES ONLY. If you truly know your books you will notice that the eye on the Swedish version is not the same eye as on the UK first edition. I prefer the Swedish eye much more. It has a far better paintjob. How much is actually the Domino letter worth? The complete set of EIDOLON covers are here!